Walking down the vodka aisle at the local liquor store, the sheer number of different vodka offerings is simply staggering. 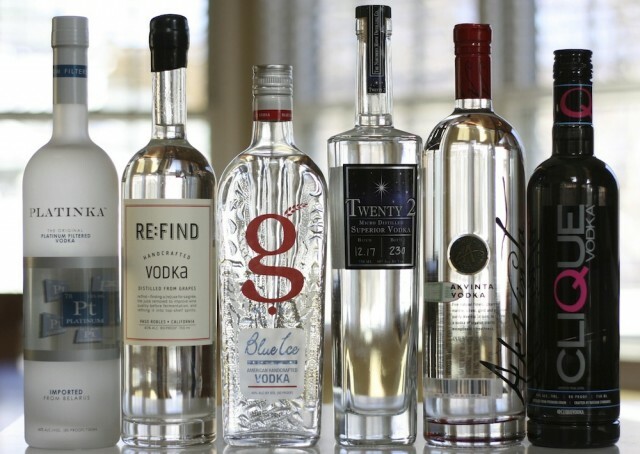 It’s hard to believe that the vodka market, as booming as it is, can support so many different brands and so many different kinds of vodka. It’s even more perplexing to see a continuous stream of new vodka releases, each hoping that they can make their mark in this extraordinarily saturated space. The hard truth is that many of the new vodkas introduced into the market won’t find a huge following. But for some, even a modest piece of the vodka pie is more significant than a large piece of a smaller spirit segment’s pie. The upside for the consumer is choice. There’s never been a better time to be drinking vodka than right now. We decided to take a look at six new vodkas which all deliver something different, and ones that, odds are, you probably haven’t tried. Platinka Vodka (40% ABV/ 80 Proof, $25) – imported from Belarus, this vodka is made from 100% rye grain and filtered through platinum. The nose on Platinka has a soft and creamy quality to it – the rye spice from the base grain is there, but it’s more of a bottom note to a soft, sweet, creamy vanilla top note. There are no vapors from this vodka, which has clearly been well distilled. The entry follows closely to the nose with a soft and creamy vanilla entry that is slightly sweet. The rye spice begins to emerge in the midpalate where it comes into superb balance with the sweet vanilla. The finish is sweet and slightly spicy, and leaves lingering sweet and spice on the palate. The rye spice on the finish seems progressive, building after taking a few sips. We first were introduced to Platinka at the San Francisco World Spirits Competition where we tasted it blind. 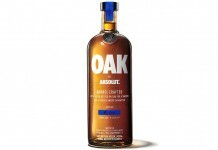 It won a double gold and was named best vodka at the 2012 competition. There’s a reason why Platinka did so well: it’s an extremely affable vodka that balances a sweet and easy flavor profile with a very moderate amount of spice. 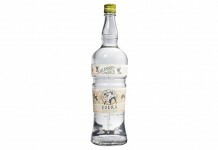 Re:find Handcrafted Vodka (40% ABV/ 80 Proof, $34) – an interesting vodka from Pasa Roble Craft Distilling, made by Alex and Monica Villicana from the Villicana Winery (a sister company). In making their wine, the Villicana’s bleed off a percentage of free-run juice from red grapes before fermentation to concentrate and enhance the quality of the wine. This bleed is called saignee and is often discarded. The Villicana’s decided to use this saignee as the base for their Re:find Handcrafted Vodka. The nose on Re:find clearly reflects the grape base. It’s slightly floral with a distinct grape note. What we like about the nose is that it still feels like a vodka. Some of the craft distilled grape vodkas come off more like a weak grappa or eau de vie, but Re:find captures the essence of grape but delivers it lightly enough to still keep the vodka character. The entry is lightly sweet and floral with a nice grape note. The initial grape and floral notes actually are dialed back a bit in the midpalate where Re:find becomes more neutral with a soft vanilla note. A slight spice enters at the end of the midpalate and hangs on for a long, spicy, dry finish whose intensity actually increases long after the vodka has left the palate. Re:find is a great example of a vodka with character that still manages to deliver as a true vodka, and an inventive micro distiller doing a spirit that’s both creative and enjoyable beyond a niche audience. Blue Ice “G” Multi Grain Vodka (40% ABV/ 80 Proof, $15) – this vodka from Blue Ice is the first intentionally multi grain vodka we’ve seen (we’re sure that some of the neutral grain spirit based vodkas out there are an unintentional blend of grains). Unfortunately, the grains in “G” aren’t disclosed, so they could really be ANYTHING. We do know that “G” vodka was released from Blue Ice as a value alternative to their pure organic wheat vodka (they also make a potato vodka). We have to give Blue Ice credit, as they’ve done a superb job of dressing up a value vodka in a very nice package with a strong brand. The nose on “G” Vodka is exceptionally neutral, slight light citrus, and spring water are about the only things really there in the nose. The entry is slightly sweet and easy with vanilla, powdered sugar, and light citrus. Things are fairly consistent through the midpalate, where at the end there’s a spike of spice and an intensity to the powdered sugar notes. The finish is medium with a light white pepper spice, light citrus, and powdered sugar. “G” Vodka is a nice balance of neutral and slightly sweet grain notes with just the right amount of spice. At $15 it’s an absolute steal, and we applaud Blue Ice for making a value vodka look and taste like something much more. Twenty 2 Micro Distilled Superior Vodka (40% ABV/ 80 Proof, $30) – we always cringe when we see a product that is awash in spirited buzzwords. There are very few regulations around what you can call your vodka, and nothing from stopping a distiller from calling their spirit “ultra premium” or in this case “superior.” When it comes to micro distilled vodka, there are two real categories of spirit. The first is vodka made from grain that is fermented and distilled by a micro distiller (like Ebb + Flow Vodka). 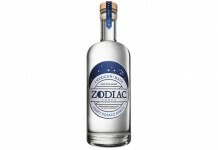 The second is vodka made from neutral grain spirits, purchased on the open market, and then either redistilled, polished or filtered by a microdistiller (like Tito’s “Handmade” Vodka). There’s a fairly fierce debate among small craft distillers about the fairness of redistilling someone else’s spirit and calling it a craft spirit. When a vodka is made from neutral grain spirits, you don’t really know what the source grain is – it can be anything. Northern Maine Distilling Company labels their vodka as gluten free which means that it is probably made from corn. The nose on Twenty 2 Vodka is very soft and muted with light citrus and a slight sugary undertone. The entry is slightly sweet with light citrus. The citrus builds in the midpalate where it picks up some white pepper spice. The finish is fairly clean with the white pepper spice lingering on the tongue. Twenty 2 Vodka doesn’t blow you away, but that seems to be the point – the vodka seems to be built to be neutral. The problem, though, is that it lacks any real character. With so many other major neutral vodkas on the market (like Smirnoff and Sobieski at half the price), it’s hard to recommend seeking this one out. Akvinta Vodka (40% AVB / 80 Proof, $26) – this vodka hails from Croatia and is distilled from organic wheat and then proofed with spring water. Whereas many vodkas talk about how many times they are distilled, Akvinta promotes its filtration process which includes charcol, marble, silver, gold, and platinum. The wheat grain is apparent in the nose which also has a slight cardboard/paper note to it. The entry is light and neutral and does nothing to prepare you for the blast that’s about to come in the midpalate. The midpalate of Akvinta is a wallop of spice, like eating a habanero when you have a cold – all the spice but none of the flavor. The flavor you do get in the midpalate is all ethyl alcohol with lemon citrus. The heat from the midpalate continues long into the finish and beyond, leaving your mouth feeling like it’s had something too spicy. It’s unusual to find a wheat vodka with this level of intensity more commonly found with a rye vodka. The midpalate wallop is over the top, and while a very small segment of the vodka drinking population might enjoy it, it’s too much to really recommend. Clique Vodka (40% ABV/ 80 Proof, $15.99) – packaged in a dark black bottle complete with the company’s twitter @cliquevodka, Clique Vodka is one of the more striking bottles of vodka we tried. Made in Latvia from “premium grain,” Clique is a Russian-style vodka but it’s made from wheat (many of the Russian vodkas are made from rye or potato). The nose on the Clique Vodka is light with a nice wheat grain note along with subtle citrus and a slight spice. The entry for Clique is soft and lightly sweet with the wheat grain note from the nose. Clique has an enjoyably soft mouthfeel that is well balanced by a peppery spice that emerges in the midpalate. The spice intensifies on the finish, but in the pinprick style of Russian Vodka, appearing only in the center of the mouth on the tongue. The finish also maintains both the wheat grain and light citrus. Clique Vodka is an interesting hybrid vodka – on one hand it’s a soft and slightly sweet wheat vodka, while on the other it has qualities of a spicier Russian-style vodka. The combination works and it’s delivered at a price you can’t beat. For more vodka reviews, check out our 10 Unique Vodkas Reviewed as well as our exclusive Behind The Scenes of Ketel One Vodka.